This vintage real photo postcard features a young woman working as a bar maid. She seems to be enjoying herself judging by her wide smile. She is wearing a costume which includes bunny rabbit ears. The young woman is filling a beer mug at an outdoor pump. The AZO stamp box seen on the reverse of this postcard indicates that it was published sometime between 1904 and 1918. 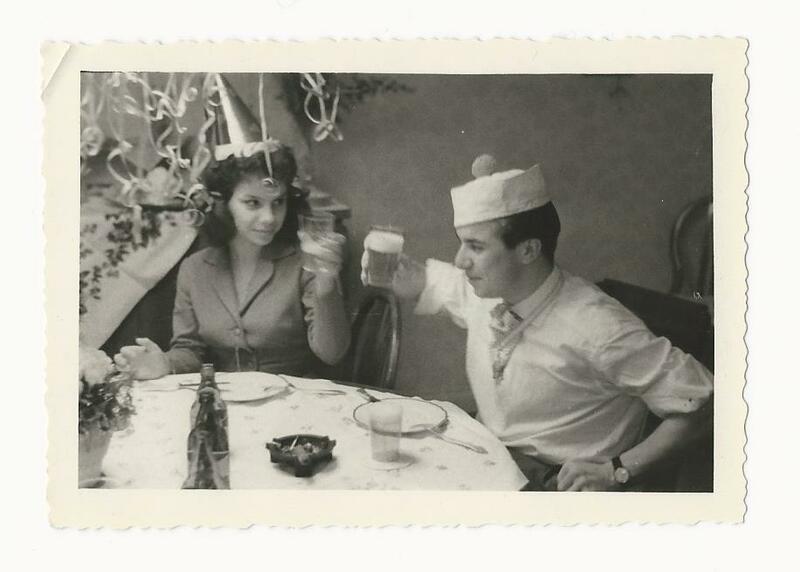 An attractive couple make a birthday toast at a table in Luckenwalde, Germany. It is also possible that rather than a birthday, the pair may be sharing New Years Eve. Nevertheless, they are toasting with glasses of beer. Note the couple’s party hats and the streamers hanging from the ceiling. An ashtray with cigarette butts sits on the middle of the table. Perhaps the most wonderful aspect of this photograph is the young woman’s expression as she looks at the young man. Her eyes certainly speak, and they appear to be shouting words of love (or perhaps lust). 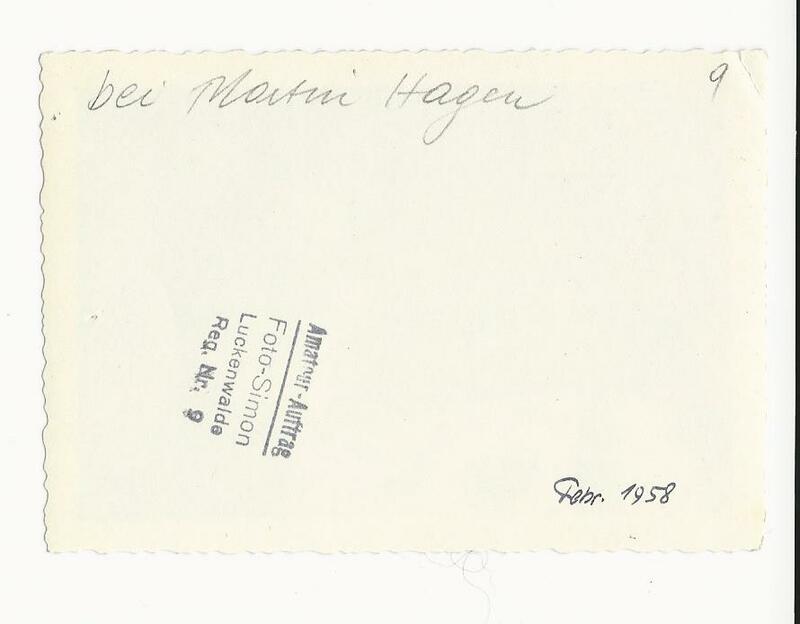 An inscription on the reverse of the photograph indicates that the fellow in the photograph is named “Martin Hagen” and the picture was taken in 1958. The photo measures 4″ x 2 3/4″. 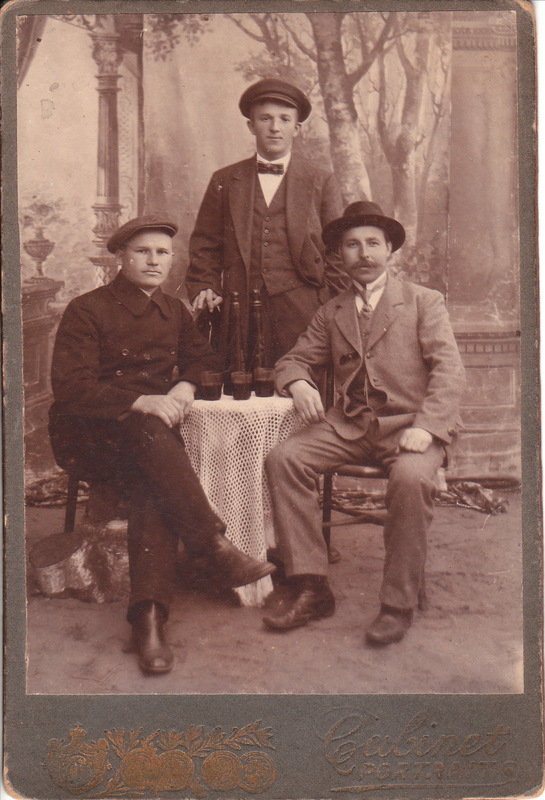 Three well dressed men gather around a table to pose with, what appears to be, three bottles of wine and companion drinking glasses. 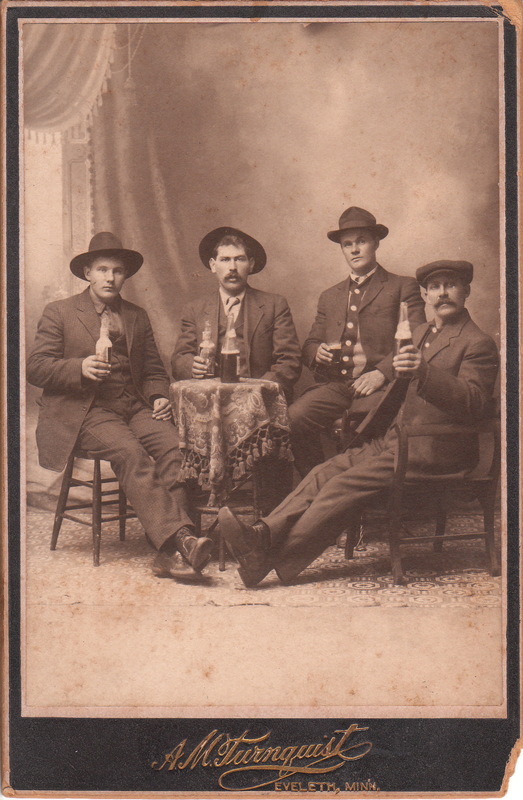 It appears that these men have been engaged in, or are planning, some serious drinking. Note the terrific hats. The men and the photographic studio are not identified. The style of the cabinet card indicates that the photograph is likely of European origin.